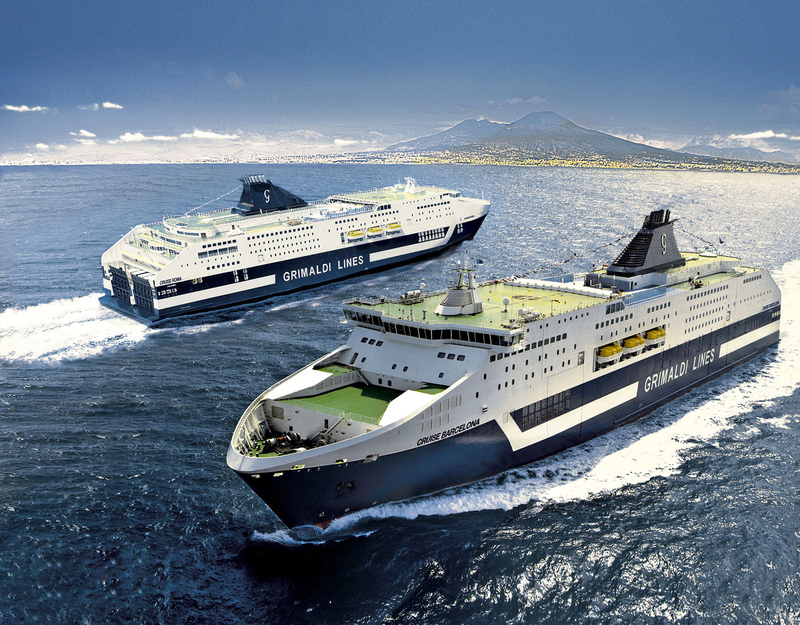 Italian shipbuilder Fincantieri has signed a letter of intent with the Grimaldi Group for the lengthening and refurbishment program for two cruise ferries, the Cruise Roma and Cruise Barcelona. The construction of the two mid-body sections will begin in 2018, while the completion of the works at Palermo shipyard is foreseen within summer 2019, Fincantieri said. 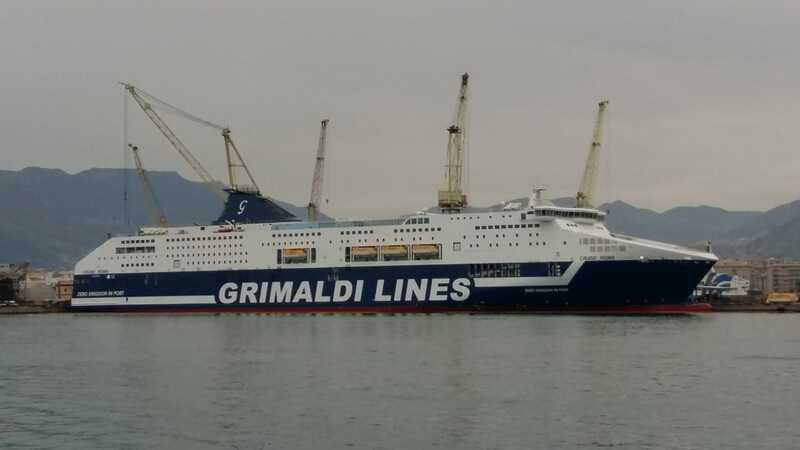 The two vessels, currently in service on the daily route Civitavecchia- Porto Torres-Barcelona with the Grimaldi Lines livery, were built by Fincantieri shipyard in Castellammare di Stabia and delivered to the Neapolitan group in 2007 and 2008 respectively. They are 225 meters long, having a gross tonnage of 54,000 tons and a capacity of transporting about 3,000 passengers, a 2,400 square meters car deck and approx. 3,000 linear meters for heavy vehicles. At the end of the lengthening project, to be carried out by Fincantieri’s Ship Repair and Conversion division, each ship will be about 254 meters long, having a gross tonnage of about 63,000 tons and being able to transport 3,500 passengers, with a 3,000 square meters car deck and over 3,600 linear meters for heavy vehicles. The ships will also be fitted with a scrubber system for the exhaust gas cleaning as well as a system to power the ship during the turnaround time in ports, based on mega-lithium batteries, in order to avoid the use of the diesel-powered generators. 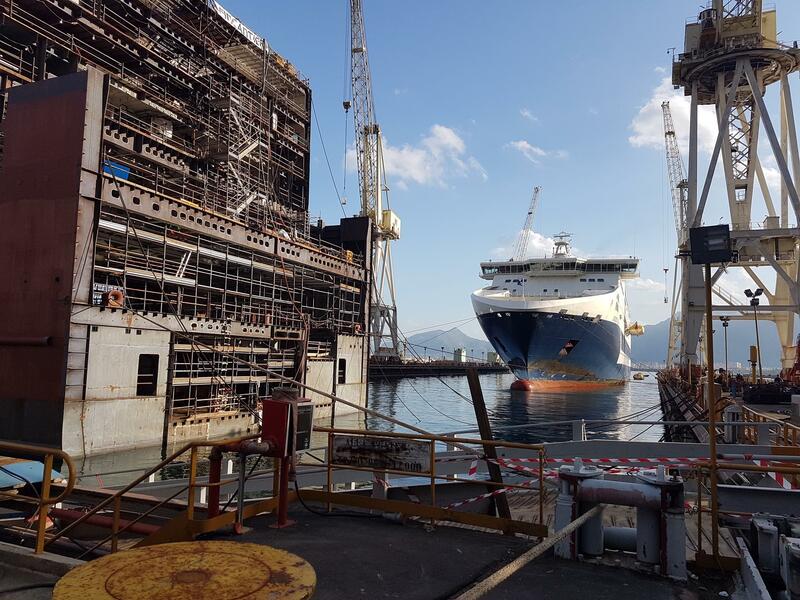 “Thanks to the notable experience gained in these years by our shipyard in Palermo, established as a reference point worldwide in this kind of highly sophisticated operations, we have consolidated our leadership also in the repair and conversions sector. Such remarks are the best way to restart the partnership with a prestigious ship owner and its different brands with whom we have worked long and successfully in the past,” Giuseppe Bono, CEO of Fincantieri, said. Fincantieri has built 30 different types of vessels for Grimaldi so far. "Cruise Roma" og "Cruise Barcelona"
Trieste/Naples, March 30, 2018 – After the signing of the letter of intent on March 5, Fincantieri and the Grimaldi Group signed the contract for the lengthening and refurbishment program for the cruise ferries “Cruise Roma” and “Cruise Barcelona”. The construction of the two mid-body sections will begin in 2018, while the completion of the works at Palermo shipyard is foreseen within summer 2019. Everything is ready for the lenghtening of Grimaldi Cruise Roma. At the end of the lengthening project, to be carried out by Fincantieri’s Ship Repair and Conversion, part of the Services division, the ship will be about 254 meters long, having a gross tonnage of about 63,000 tons and being able to transport 3,500 passengers, with a 3,000 square meters car deck and over 3,700 linear meters for heavy vehicles. She was already big, but now she's a giant. 63,000 GT, I think.